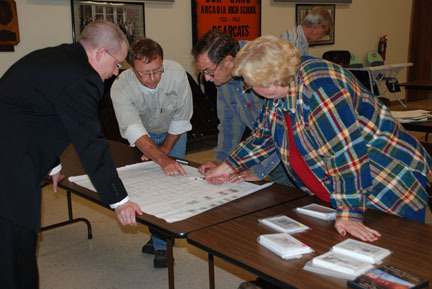 Committee members study a map of the Cato area. Copies of the map are now available. 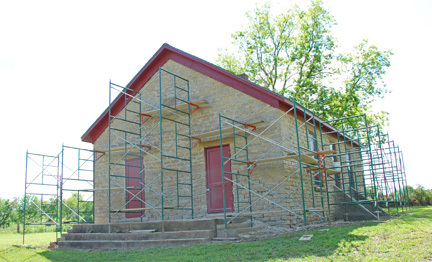 The Cato Historical Preservation Association would like to thank all the generous friends of Cato who have contributed their time and money to make the restoration projects at the Cato School possible. If you would be interested in joining our group, please contact one of the members, or come to a meeting, the fourth Tuesday of every month, at 6:30 at the Arcadia Community Center. Exciting Things are Happening at Cato! 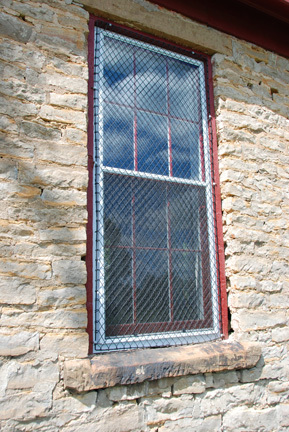 The school gets new tuckpointing!